A useful on-trend padded mini backpack. 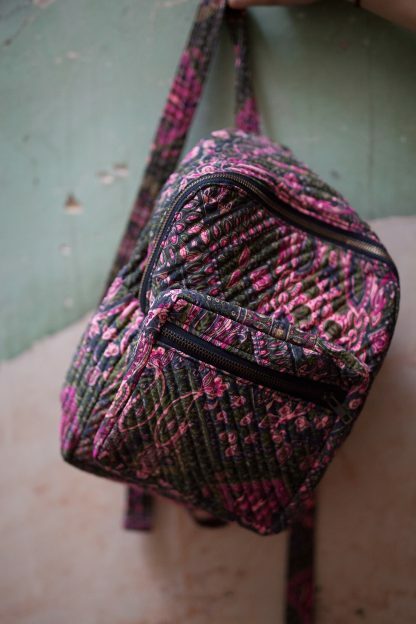 Padded mini backpack with zip fastening and a front zip pocket, and adjustable straps. It is made from our beautiful silk-mix fabric, is quilted and interlined with black strong cotton. Size: Height 31cm, width 22cm, depth 12.5cm.